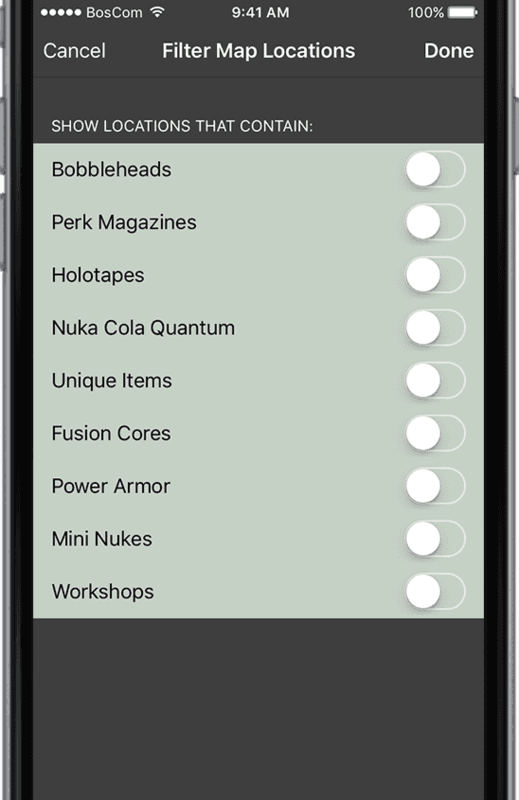 With details on over 500 locations, the app lets you filter places based on the items you want to find, from bobbleheads to fusion cores. Tap on any location item to mark it as collected. Any such items will not be included when filtering locations. 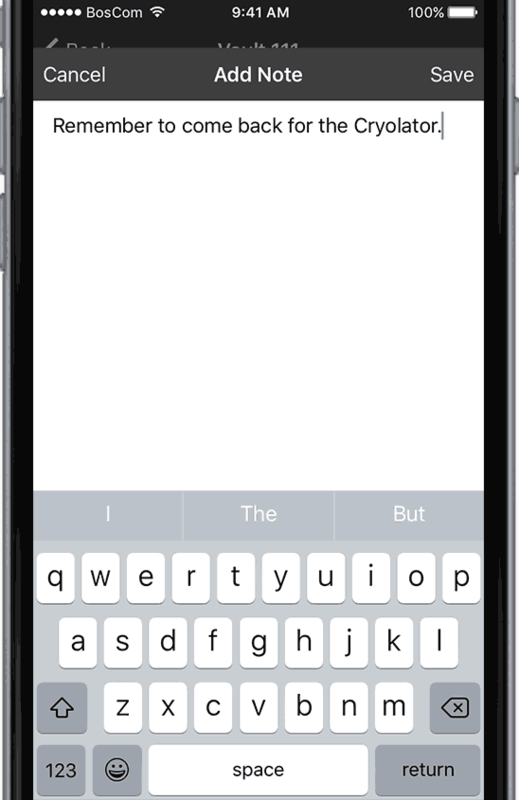 Add notes to any location by tapping the Compose icon in the bottom toolbar of a location. 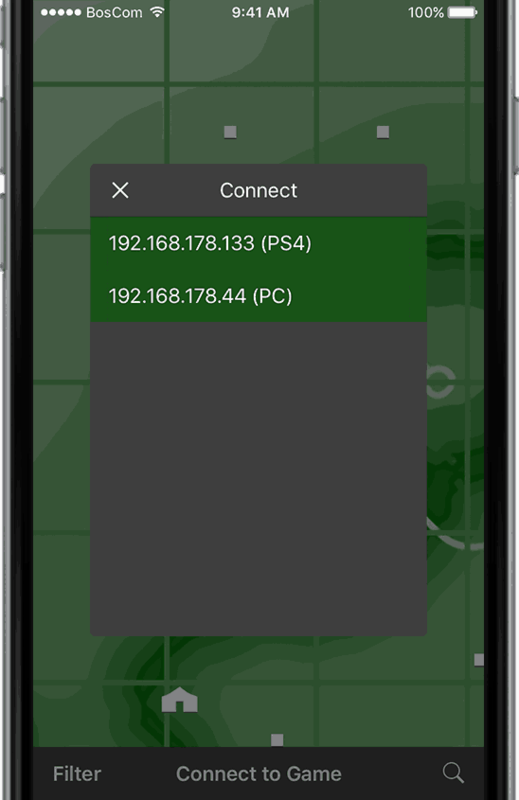 PIP-Map connects to both PS4 and PC using the same method as the official Pip-Boy app. This lets it show your current position on the map and makes it even more useful with the features below. Find something or somewhere interesting that you want to come back to? 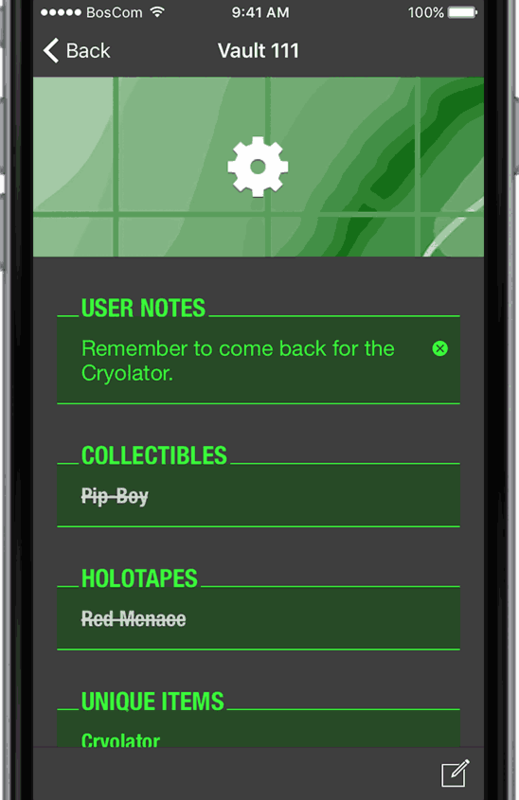 Add a note for your current in-game location and the app will store it for when you want to refer to it later. 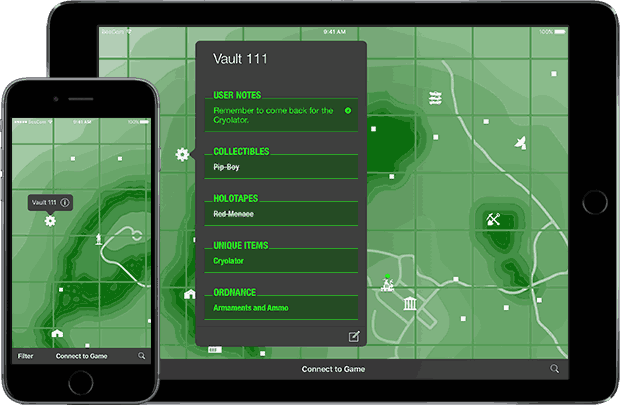 PIP-Map enables you to add in-game markers for any location within the app. 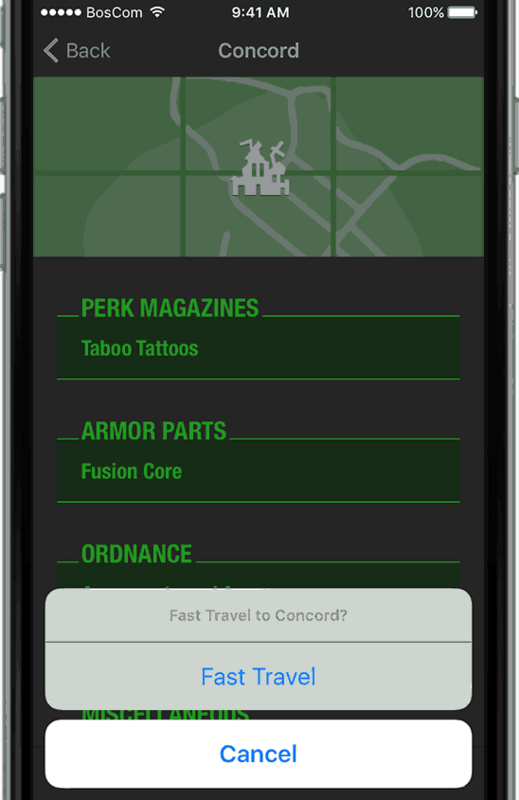 And if you have already discovered the location in the game, you can fast-travel there as well. We love hearing from you. Email us at pipmap@phurba.net with any issues or suggestions.